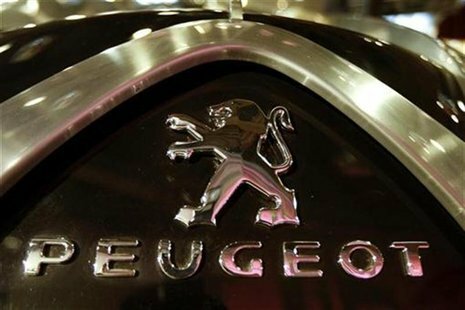 French car maker Peugeot has reported a loss of 819 million Euros ($1 billion) for the first half of the year and has detailed 1.5 billion Euros of cost savings. The company said sales in the six months to the end of June had fallen by 5.1%. Peugeot, which made a profit of 806 million Euros in the first half of 2011, said it would not break even until 2014. The firm, which is Europe’s second-biggest carmaker, is in the process of cutting 8,000 jobs and closing one of its two Paris production sites. In contrast, results from rival German carmaker Daimler were described by the company as “very good”, despite a fall in profits of 11%. Daimler, which also makes Mercedes-Benz, has been investing in new models and has outsourced production of certain marques because its own factories are running at full capacity. Peugeot’s plants are operating at 76% of capacity. It is suffering in part because of its exposure to countries badly affected by the eurozone crisis in Southern Europe. “The depth and persistence of the crisis impacting our business in Europe requires the launch of the reorganization,” said Peugeot’s chief executive Philippe Varin. The carmaker has cut its debt by 1 billion Euros since the end of last year, but still has debts of 2.4 billion Euros. Peugeot says the closure of the Aulnay factory near Paris will save 600 million Euros, while it will cut another 550 million Euros from investment and save a further 350 million through a recently-announced alliance with General Motors. The Peugeot cuts programme is politically sensitive in France, with unions referring to it as a “declaration of war”. French President Francoise Hollande called the restructuring “unacceptable”, while Peugeot’s chairman, Thierry Peugeot, said that criticism of the company had weakened investor confidence and left it vulnerable to hostile takeover bids. Peugeot family members control the carmaker through a 25.2% stake commanding 37.9% voting rights. Earlier this week, Philippe Varin met the French prime minister for talks. The government is set to unveil an aid package for the car sector later on Wednesday. The carmaker also signed a deal earlier this week with Toyota, under which it will start building commercial vans next year at its plant in Sevelnord in northern France. However, that deal rests on unions at Sevelnord agreeing to changes in working conditions, including a pay freeze and reduced leave, as well as hundreds of possible job cuts.